It can be so easy to Write, Play and Listen to your Music! 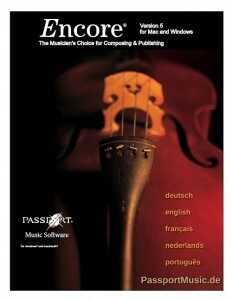 Passport Encore Notation 5 is available for Windows and Mac Systems and since more than 20 years Composers, Musicians and Music Teachers trust this fast and easy to use music software for writing their compositions and sheet music. You don’t have to study the manual for hours, just open the Encore Software and start writing. The menu of Encore for Windows is also available in different languages as english, deutsch, français, nederlands, español and português. 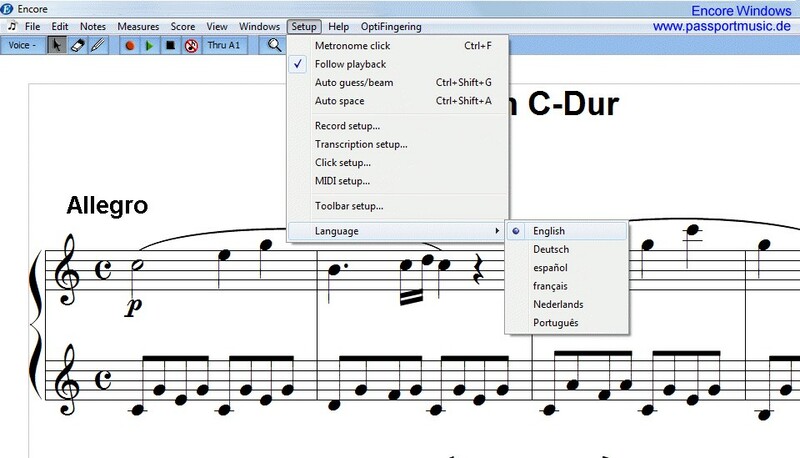 With Encore Notation you can open also all older Music-Files from MusicTime, Rhapsody and – of course – from all previous versions of Encore Notation Software.